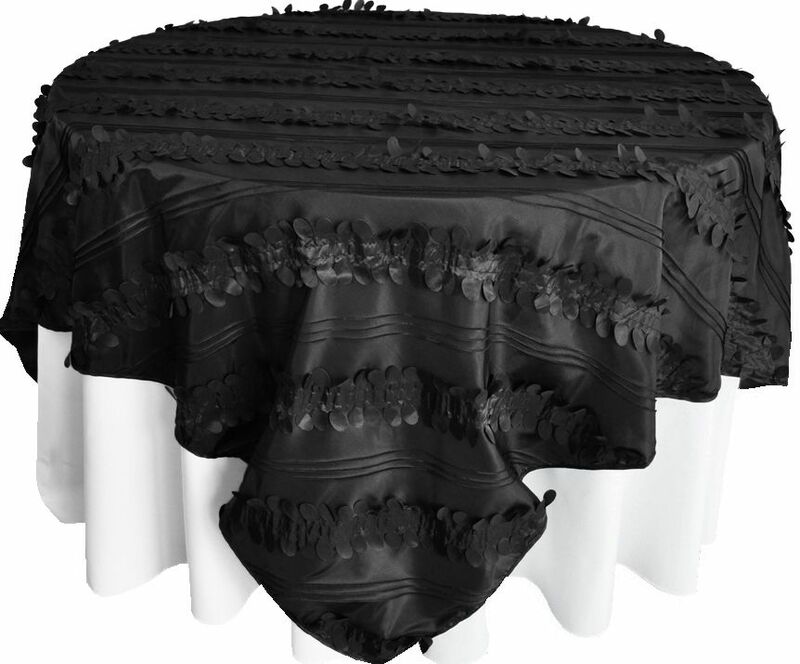 Black Forest Taffeta Table Overlays Toppers WeddingFree Shipping over $150 - US 48 Contiguous States! $9.98 Flat Rate Under $150 - US 48 Contiguous States! Condition: Brand new forest taffeta table overlay, forest leaf taffeta table overlays, Paradise forest taffeta table toppers.